Ever wished you could stop criticizing others? And wondered why you do it? And of course on the flip side, we all love receiving a compliment. Read on for an interesting way to accept others… and attract praise. Until you accept yourself for who you are, your enthusiasm for criticism will continue. The reason? You’re seeing yourself in others; you’re seeing your ‘flaws’. We all have flaws and they’re okay, but because we deem flaws unacceptable we criticize. You only have one reality – yours. Everything is about you. It’s easy to criticize because we mistakenly take ourselves out of the situation and forget everyone has flaws, we included. So we sit in judgment of the other person, thinking it’s all about them, when it’s always all about us. We consider ourselves spotless and above it all. However don’t blame or chastise yourself. Use this only to learn, and blame no-one. Once you choose to accept yourself for who you are, flaws and all, you consequently accept others for who they are flaws and all. You develop compassion for others. They therefore stop pressing your buttons. Why? You move into what you think. I accept me = I accept you. It’s all very well to say we shouldn’t care what others think, but if you don’t like being criticized then the easiest way to nail it is to accept yourself for who you are and others will subsequently give you that same gift of acceptance. You spotted it; it’s the same answer as in point #1. Accept yourself. You move into what you think. I accept me = you accept me. So What Does it Mean to Accept Yourself for Who You Are? Never compare yourself to others and always speak of yourself as worthy, wonderful, smart, an asset, attractive, (…add anything you want!). You get the picture. Everything you have done to date has created who you are. Your wisdom is greatest at this moment right now. Celebrate that. You have always done your best. Everyone has issues, different yes, but issues nevertheless. What good does it do to whip yourself for who you are? Regret is useless; it won’t change anything and you’ll become stuck. If you want to grow and evolve (which is your true job on earth and is your future), then who you are now is merely the foundation you’re building on. Accept that foundation for what it is without judgment. Imagine telling a child that you love and accept them the way they are. Wouldn’t that provide them with peace and motivate them to greater things? In the same way your body is that child. 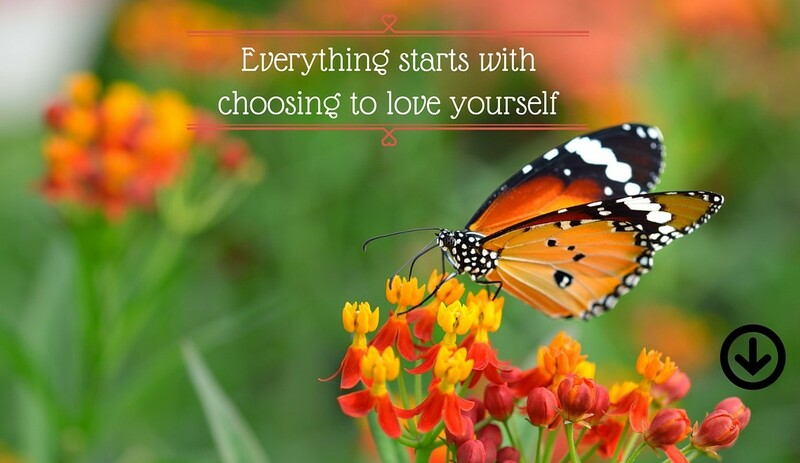 Tell yourself you love and accept you the way you are, and when you do, note the sigh of relief and the new level of confidence and enthusiasm you have for life. If you’re criticized, remember it’s often merely that person’s opinion, which they’re entitled to. Your only action after (objective and honest!) contemplation may just be to accept that is their opinion, to move on and believe in yourself. 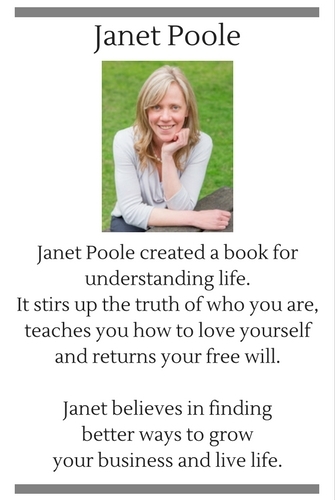 Believing in yourself and seeing yourself in others is dealt with in detail in the book “How to Get Anything You Want – Just Like That!”. It empowers you to live life on your own terms and reach your true potential. 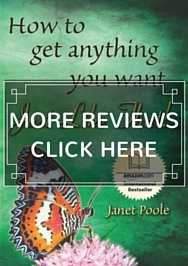 It solves the human mystery and uses science to prove why you can get anything you want. You learn why an extraordinary person is not someone else, it’s YOU! 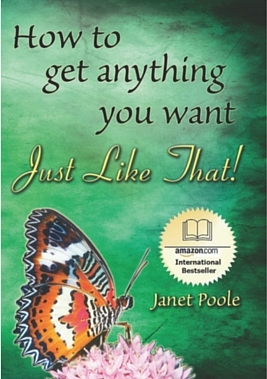 “Just Like That!” is refreshing, inspirational and simplifies your life. 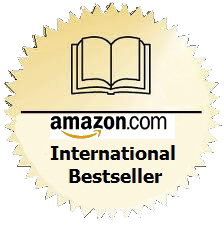 Order your copy of “How to Get Anything You Want – Just Like That!”from Amazon.com.